Set has 100 cards that showcase just 20 athletes. Serial Numbered #/99. Pair autograph from living player with a cut signature from a late legend. Michael Jordan, Wayne Gretzky, Tiger Woods, Dan Marino, Bobby Orr, Mike Tyson, Barry Sanders - all are legitimate legends in their respective sports. While a lot of sets offer big names, they're often tough to find, mixed among more everyday players and prospects aspiring for greatness. 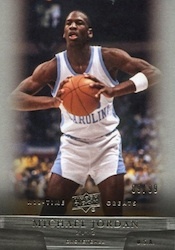 2012 Upper Deck All-Time Greats Sports Edition lives up to its name by limiting the checklist to just 20 stars. Four-card tins of the high-end set guarantee an on-card autograph from at least one of the set's featured athletes. 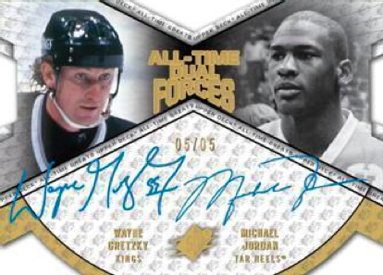 Branching beyond the "big four" sports, 2012 Upper Deck All-Time Greats Sports Edition features iconic figures that still command considerable hobby attention. The base set comes with 100 cards that are paralleled with autograph cards. Not just resting on the strong checklist, 2012 Upper Deck All-Time Greats Sports Edition also has popular design elements in many inserts. All-Time Forces Hologram Signatures harken back to the 1990s when SP Special FX cards were all the rage and SPx debuted as a standalone brand. The die-cut autographs come in both single- and dual-signed versions. 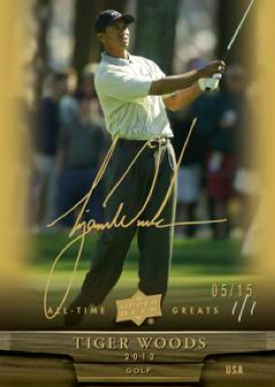 Autograph combinations include Michael Jordan and Tiger Woods, Jordan and Wayne Gretzky, LeBron James with Larry Bird and more. Legacy Book Cards combine autographs from featured stars with cut signatures from late legends. Pairings include Barry Sanders with Red Grange, Wayne Gretzky and Maurice Richard, and Mike Tyson with Joe Frazier. Other numbered autograph sets include Personal Touch Signatures, Shining Moments Signatures, Athletes of the Century, and Lettermen Signatures. All autographs are inserted in packs. 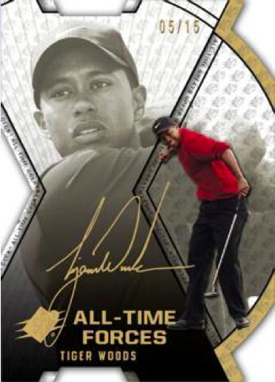 2012 Upper Deck All-Time Greats Sports Edition has no redemption cards. Dikembe Mutombo 2012-13 Elite ALL-TIME GREATS Auto # 99! Houston Rockets LEGEND!